The small room is rather bare with just a table, two chairs, and a bunk for what would probably be a rather poor night’s sleep. A few centuries ago misbehaving students were not brought before the city court – universities dealt with trouble-makers themselves. It is hard to believe today, but up until 200 years ago FAU still had its own jurisdiction which applied to all members of the University. It was abolished in 1814 but the University was still able to implement its own disciplinary measures and had its own detention cells until 1913. From 1838 to 1898, the cells were on Wasserturmstraße. From 1919 to 1959, the cells became a local history museum, which then became a restaurant where one of the cells was turned into a kitchen. In 2003, the whole building was renovated and a music school moved in. One of the cells has been preserved in its original condition which can still be seen today. Disturbance of the peace, brawls and other improper behaviour resulted in a trip to the cells. However, they were probably not as bad as a real prison. The students were allowed to leave their cells to go to their lectures and for their ablutions. 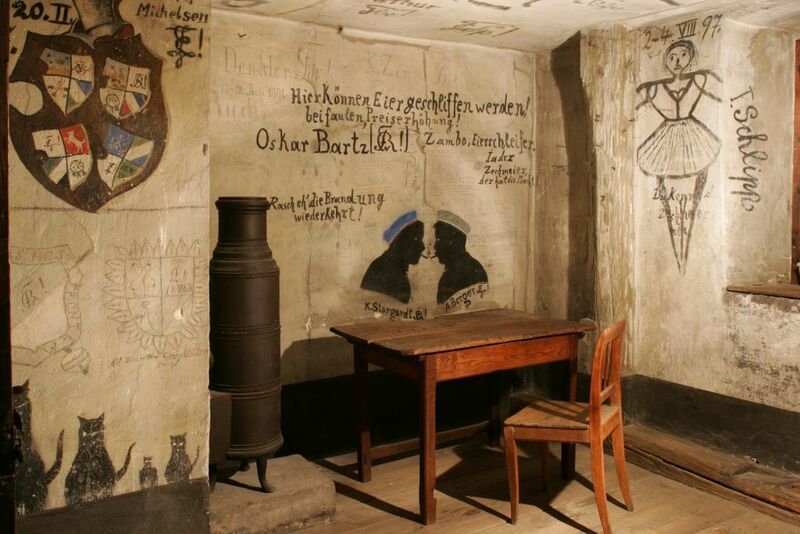 They passed the time writing and painting, as can be seen on the cell walls which are adorned with numerous sometimes rather crude slogans and pictures. The drawings of silhouettes are particularly characteristic of the student associations of the time. The students also smuggled considerable supplies of alcohol into the cells, and during his 34-day incarceration the writer Christian Friedrich Daniel Schubart achieved the remarkable feat of drinking 187 litres of beer. The cells did not seem to be an especially good deterrent for the students – it was a kind of rite of passage to spend a night in the cells. Perhaps it was even the existence of the cells that inspired the students to mess around in the first place. There is a well-documented case of a student who stuck an orange onto a soldier’s helmet and wrote in the cell book where students immortalised themselves ‘S’war doch ein schöner Witz, die Orang’ auf Helmesspitz’ (it was a good joke, the orange on the point of the helmet). The solider in question was not at all amused and brought charges against the joker. The latter protested that his only intention was to give the man an orange. The court, on the other hand, was of the opinion that the circumstances under which the gift was given gave it the character of an insult. The student’s excuse that he was heavily intoxicated was no use. The university judge sentenced him to six days in the cells and he was very nearly expelled from the University. There are many interesting places at FAU. 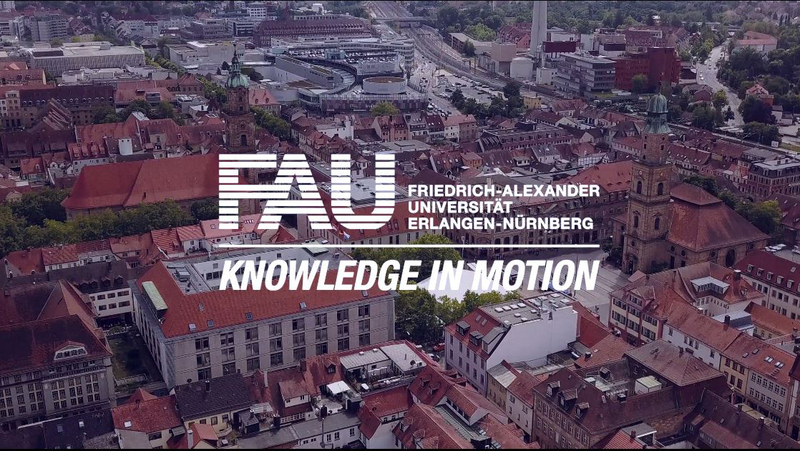 We will introduce them to you in our blog ‘Interesting places at FAU‘.